"Spotify Paid Lady Gaga $167 For 1,000,000 Plays"
This headline showed the “dark side” of music streaming start up, Spotify. Critics were in awe about how little artists were being paid for their hard work. Despite the short lived pleas from Spotify that they paid more per play people focused on this number, as if it was a bad thing. Paying an artist less than 1p per play sounds like a raw deal, until you remember Spotify is a marketing platform. 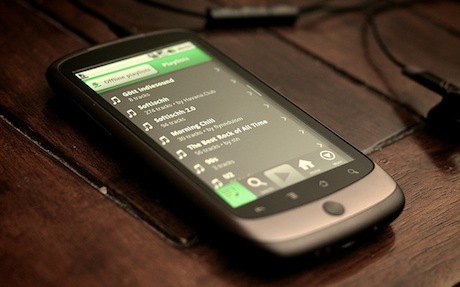 Spotify is designed as a service for people to listen to their favourite tracks cheaply. Why does this benefit the artist? Because if you love their music, you’ll go to the show, get the t-shirt and support the live scene. I am aware not everyone goes to see live music – that’s not for everyone. Additionally some artists can’t actually sing. Surely this free market model means the ones with little to no talent get paid less (something I am all for). According to my Last.fm account I listened to Lady Gaga a couple of hundred times in 2011. In the traditional music model my plays would have cost me £10 for the CD that I would have had to burn to my computer, then onto my iPhone. With Spotify I paid £10 per month and was able to listen to her tracks with much ease and (in the case of her more recent release) before the hard copy hit the store. When you think of Spotify as a marketing tool the critics of low royalty amounts to artists’ flies out the window. They should be happy with any money – maybe that’s a step too far. But you see, Spotify is providing them with a platform to get their music to the widest possible audience. The ability to preview tracks before deciding to spend £10+ on a CD is invaluable. I can’t stand it when I used to purchase an album based on the singles they released only to be disappointed by every other track on the release – who hasn’t had this feeling? With Spotify you can chose to buy an album based on all the tracks. Which is a good thing. All killer, no filler should be the result. And if you only like one track, you only have to buy that one. Spotify beats iTunes on this front. The current market leader only offers 90-second previews of tracks...step it up Apple. If you have to moan about anything to do with Spotify I guess would have to be a combination of customisation / discover and navigation. With the latest release you can browse your friends playlists and even subscribe to them, which is cool, but it’s not really helping me discover new artists. Why can’t we get a custom “What’s New” screen based on my previous listening habits, not just what’s been released in general? Navigation on the iPhone (and desktop) is a pain in the bum. You can make playlists, which are easy enough to scroll through. But it’s amazingly more simple to be able to filter who you want to listen to by artist, album or even genre. In 2012 I’d like to see this platform become more dynamic and social. You can share tracks and browse friends playlists but you’ve got so much more data to play with. Why not tell me when the artists I listen to are touring? A revenue stream for the company could be to become an affiliate of SeeTickets. I think the move into apps is a great step forward. And will make the platform the leader in the music market for distributing tracks and creating a fair revenue model in the process. Simon is a social media manager by day & a stand-up comedian by night. You can also Follow him on Twitter. He has written a book called "How To Find A Job Using Twitter" (£1.99, Guardian Shorts). A Social Experiment : Can Man Live on Social Media Alone?